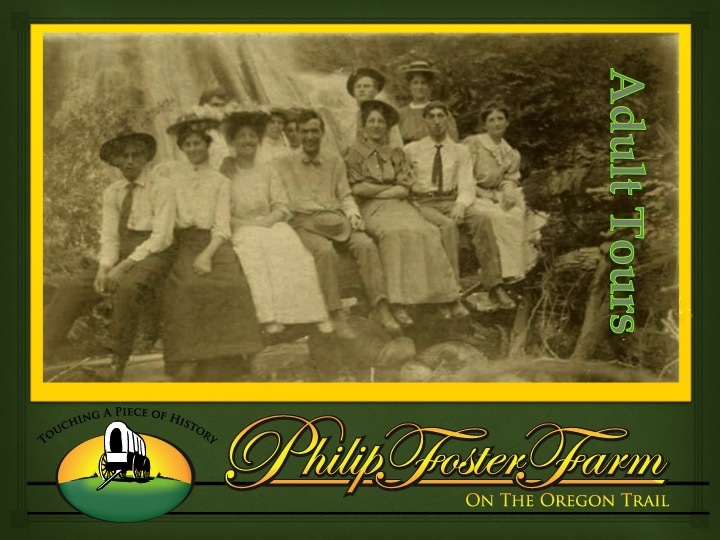 Adults of all ages enjoy this tour of Philip Foster’s Farm. After a brief orientation to the history and layout of the site, guests are encouraged to explore the house, store, barn, and outbuildings, where guides in period clothing are available to share more history, and enjoy collecting the oral history of guests as well. We have accessible restrooms, and ramps to the store and the house, although there are some stretches of grass and gravel to negotiate. Tours can be scheduled April through October. Cost is $5.00 per person, with a $50.00 deposit. Please let us know if we can tailor the tour for your organization. 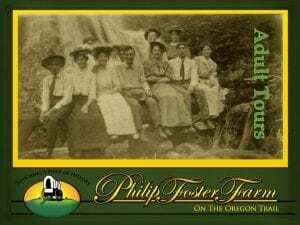 For more information, or to schedule a tour, email [email protected] or call 503-637-6324. Once your tour is on our calendar, deposit can be paid HERE.